Figured I had better put any more videos of the S10 in the Lounge so the mods won't get mad. Was taken using my cell phone mounted in a hands-free bracket, suction-cupped to the inside of the roof. Originally I used this setup to take a video of my tach (per A1) the maker of my custom torque converter. I had put their new custom converter in and went 0.3 seconds slower than I had previously gone with a generic cheapie converter! I was not happy as the stall speed was down around 2500rpm. They wanted to actually see my stall speed in action, when I complained it was not correct as originally discussed. I made the video they requested, they agreed the stall was not right, and they made me an entirely new converter that stalled at 3900rpm as expected. There was a full 0.5 seconds between the two converters. This was my second pass last fall, after installing the second converter (first pass was mostly video of the tach to establish new stall speed). Also, this was a run with open headers, from inside the vehicle - so sounds a lot different. 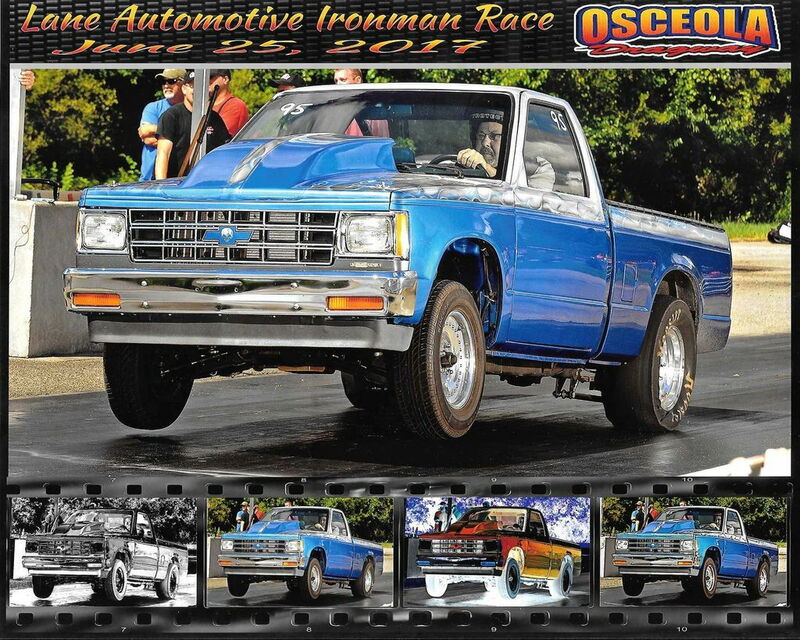 Only difference in the truck between then and now is the front suspension is now lowered 2" on Moroso trick springs with Competition Engineering 90:10 drag shocks and tubular upper a-arms to clear the fenderwell headers at the lowered suspension height. Getting much better weight transfer this year as the super soft springs and drag shocks let the front come up all the way to it's limit upon launch. Needed better weight transfer in anticipation of building some more power into this engine - it was right on the verge of spinning the slicks with the original front suspension. Not the fastest car at the track, but I have fun with it. Last edited by LesMyer; 06-14-2017 at 08:58 AM. 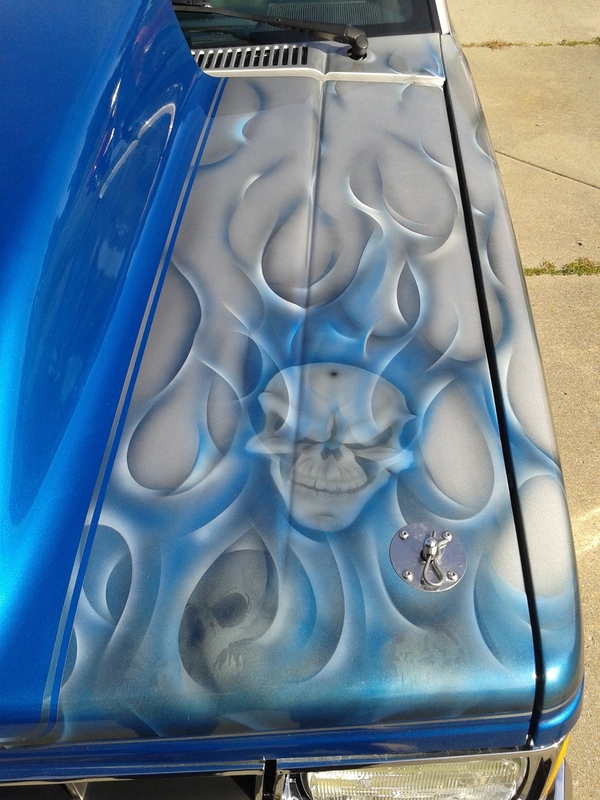 Has some airbrush work - ghost flames. 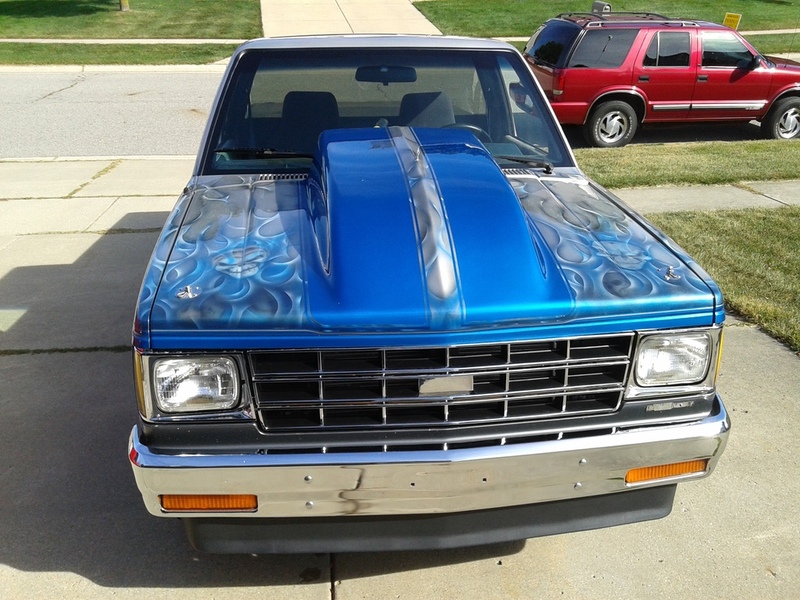 Also has Eldorado tail lights and a mural on the tailgate, but not shown. A very nice amateur job. I bought it that way and changed EVERYTHING else. I upgraded the interior last year - now have door panels finished with same carpet as on floor. Had to remove inside arm rests and kick panel junk catchers to clear the door bars. Re-upholstered 1987 Blazer bucket seats myself using a pre-made upholstery kit and made finished holes in the seat back for the racing harness to fit through. Replaced radio with some extra gauges. Engine after I added my QuickFuel SS830 carb, but right before I converted it to a manual choke. It's one of those you can adjust everything carbs with billet metering plates - including removable air bleeds and IFR/PVFRs (fuel restrictors). 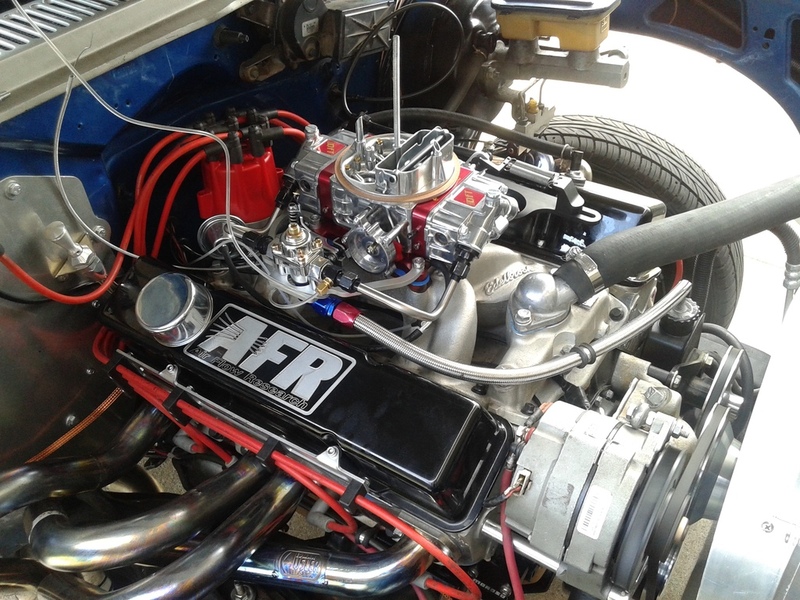 Using an AFR gauge, you can really dial these carbs in for both performance and reasonable fuel mileage if you take the time and make the effort. Last edited by LesMyer; 06-14-2017 at 09:35 AM. Really nice work, I like the setup. Another photo from last Summer. I have managed to find 45 more rear wheel HP so far since November, using a dyno. Started at 345 RWH. + 30 using electric water pump and electric fan. +15 going to 1.6 rockers along with indexing and side gapping spark plugs. Now 391 RWH. Still have a Victor Jr. Intake with CNC'd ports waiting in the wings. That and tuning with the wideband is next before returning to the dyno. Had to order a new transmission - starting to slip in reverse - going with a Coan Competition TH350 with a transbrake. Should be running in the high tens this season. Last edited by LesMyer; 01-30-2018 at 04:26 PM. Nice to see it race. Have you removed the inner parts of the fenders? Thank you. Yes, the inner fenders are removed. It is necessary for fenderwell headers, which go on the outside of the frame into the fenderwell. 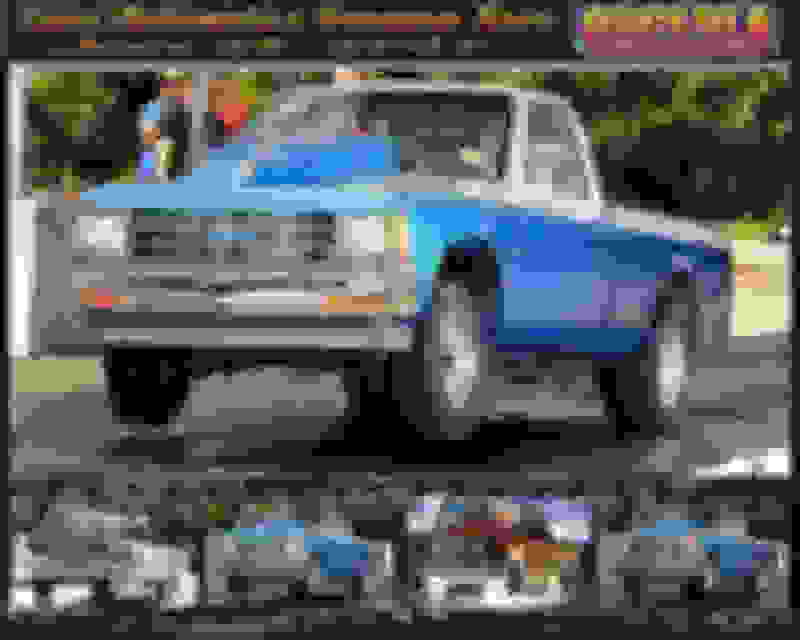 It's the only way to get decent full length race headers for a S10. The headers actually prevent the tires from fully turning back and forth. Good thing the race is in a straight line! Last edited by LesMyer; 01-31-2018 at 03:16 PM. Thank you. 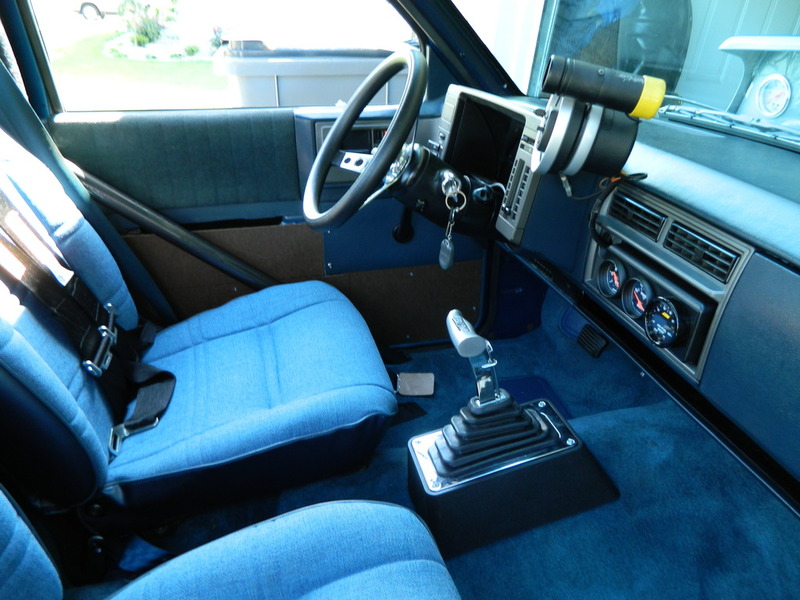 This S10 still has the factory frame mounts with the rubber inserts, so there is a little give there. I guess the whole compartment is getting a bit tight on a S10 frame. The advantage/disadvantage of a truck having a frame. You can cut out some parts but in some the frame gets into the way. Beautiful truck, thoroughly enjoyed the video!